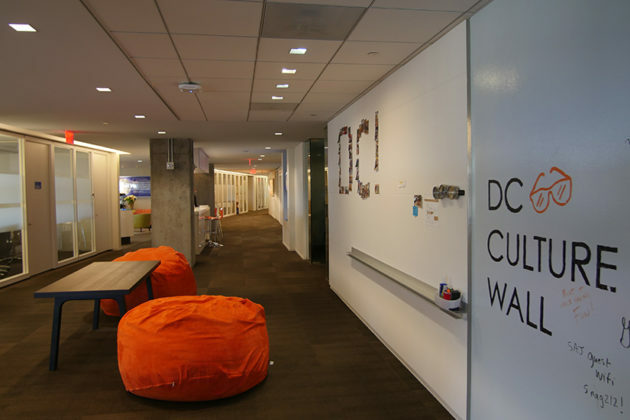 A fast-growing Arlington tech company has moved its operations to a much larger office in Rosslyn. 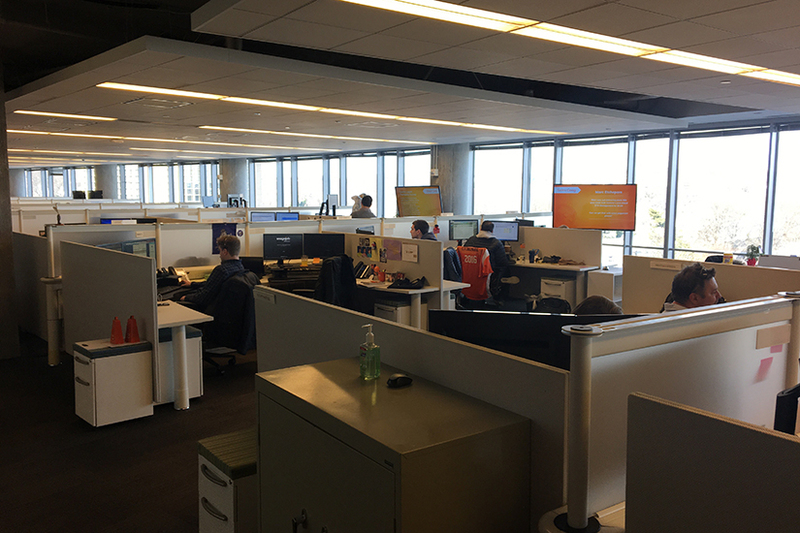 Snagajob, a company that helps employers find hourly workers and vice versa, announced last week it had moved into a spacious new office in the Waterview building on N. Lynn Street. The new business hub spans about 32,000 square feet, which is more than four times as big as Snagajob’s old office in Ballston. 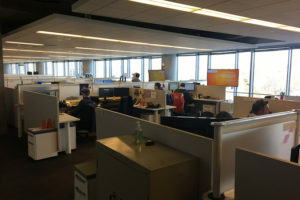 The office also features such amenities as free beer and popcorn, several game tables and a stunning view of Georgetown. But all that new space is necessary for the quickly expanding firm. Last year, Snagajob grew its employee base by about 60 percent. 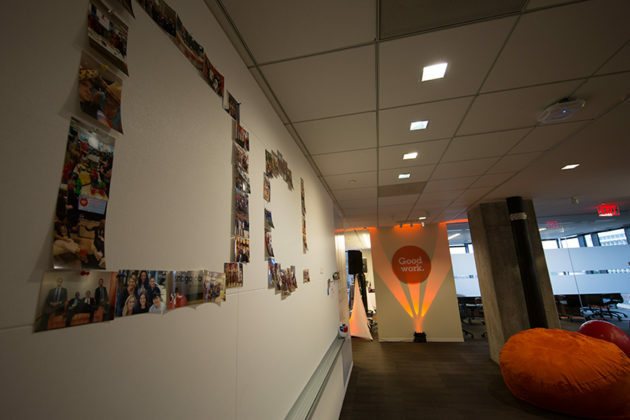 Some of that growth came from its acquisition of PeopleMatter, an HR software business that aided employers in hiring, screening and managing employees. 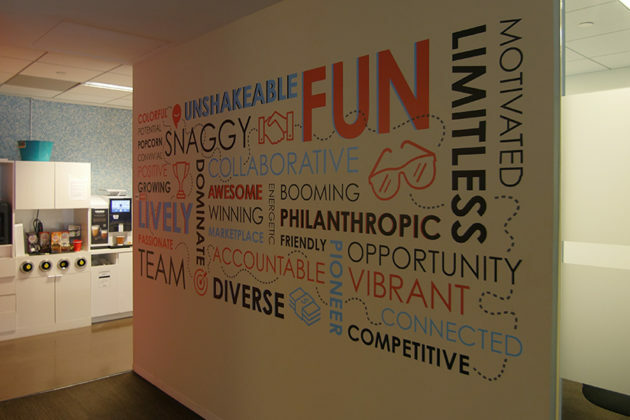 This year, Snagajob is planning to grow its D.C.-area staff by about 50 percent. 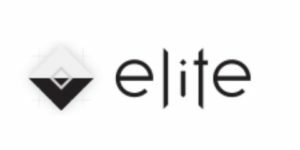 Many of those new employees will work in sales and sales management, account management, marketing and data science, the company said. 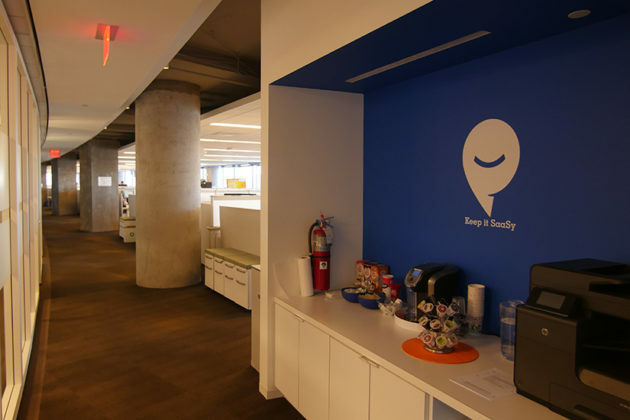 Currently, the tech firm employs about 450 “Snaggers” across its offices in Rosslyn; Richmond; Oakland, California and Charleston, South Carolina. 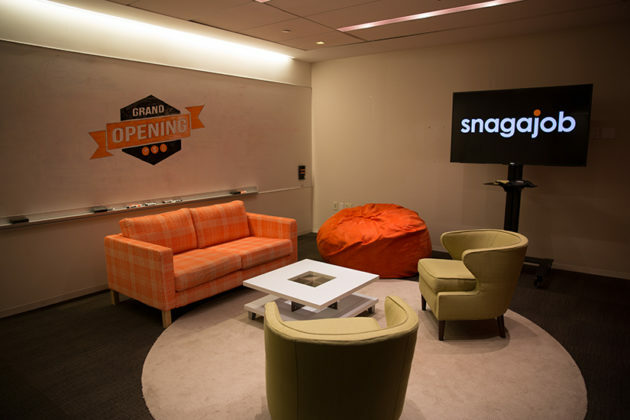 Check out some more photos of Snagajob’s new Rosslyn offices below.